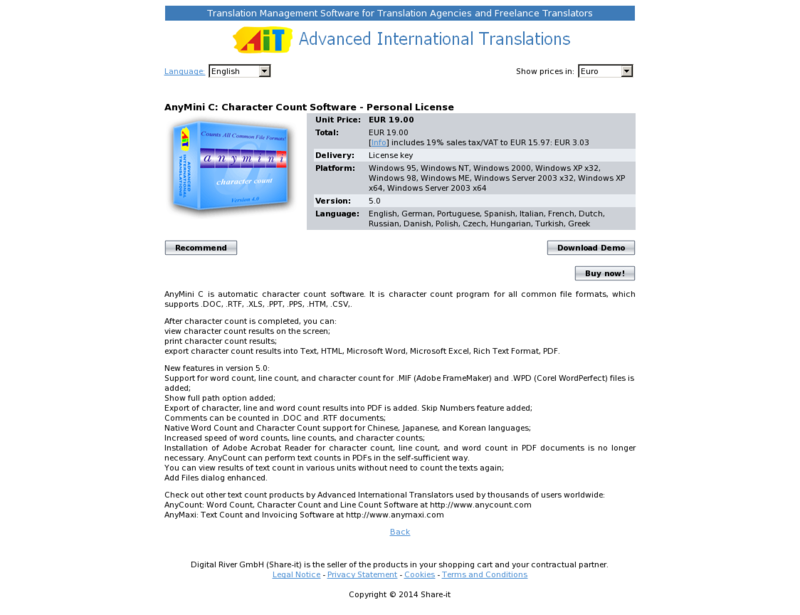 AnyMini C is automatic character count software. It is character count program for all common file formats, which supports .DOC, .RTF, .XLS, .PPT, .PPS, .HTM, .CSV,. export character count results into Text, HTML, Microsoft Word, Microsoft Excel, Rich Text Format, PDF. Installation of Adobe Acrobat Reader for character count, line count, and word count in PDF documents is no longer necessary. AnyCount can perform text counts in PDFs in the self-sufficient way.